Housed in The Kimpton Schofield Hotel, Parker’s Downtown is a high-end spot that coincides with luxury of the hotel. They offer great city views, delicious food made from local ingredients and excellent service. While the Dinner menu offers a large range of types of food, most come here for the steak. People love the “8oz Filet Mignon” (seared foie gras, black truffle sauce and whipped potatoes) for $45 and the “16oz 42-Day Aged NY Strip” (smashed red potatoes, chilled asparagus and mushroom salad) for $40. 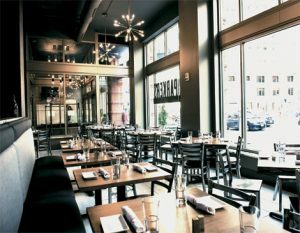 If you’re not a steak person, they have other great selections like the “Parisian Gnocchi” (broccoli rabe, mushrooms and parm double cream) for $17, the “Chicken Pot Pie” (Chicken & sausage, creamed leeks, foraged mushrooms and puff pastry) for $22 and the “Mac & Cheese” (smoked ham, gruyere cheese and veal jus) for $18. For a lunch menu, Parker’s is actually pretty large. The main entrees are the same from the Dinner menu, just smaller servings. They range from $16 to $22. In addition, they offer a sandwich section which ranges from $11 to $13. Featured on the menu is the “Parker’s Burger” (caramelized onion, American cheese, thousand island and pub fries) for $12, the “Cleveland Cuban” (shaved bologna, salami, house pickles, Swiss cheese, Cleveland mustard, toasted baguette and pub fries) for $12 and the “Italian Sausage” (Cleveland sauerkraut, brown mustard, hard roll and pub fries) for $11. Brunch is very trendy at the moment, and Cleveland has a lot of great places to try out. Parker’s is easily one of the best brunch spots in the city thanks to its wide-ranging menu and great cocktails. Fan-favorites include the “Loaded Potato Pierogi” (pistachio, cultured crème, roasted pear and bacon jam) for $11, the “Korean Fried Chicken & Waffles” (vanilla butter, warm maple syrup) for $14 and the “Parker’s Breakfast” (2 eggs any style, bacon, redskin potatoes w/caramelized onions, sourdough toast or English muffin) for $14. This is a great spot when you need somewhere new for a celebratory night out. 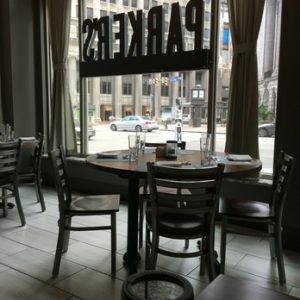 With the atmosphere from the hotel and the restaurant itself feeling so glamorous, you might forget that you are in the heart of downtown Cleveland until you look out the windows and see the beautiful skyline from your seat at the table. The staff is friendly and attentive which will only make the whole experience that much better. 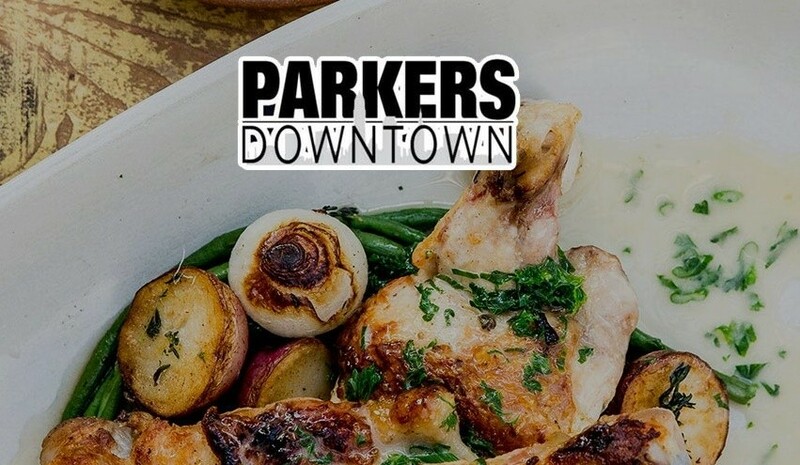 Parker’s Downtown is open Monday through Friday for breakfast from 7 am to 10:30 am, lunch from 11:30 am to 2 pm and dinner (excluding Friday), from 5 pm to 11 pm. They are open from 5 pm to 12 am for dinner on Friday and Saturday and 5 pm to 10 pm on Sunday. They also offer brunch on Saturday and Sunday from 8 am to 2 pm. Stop in at the downtown location at 2000 E 9th St. Cleveland, OH 44115. Contact the restaurant via phone at: (216) 357-3250.